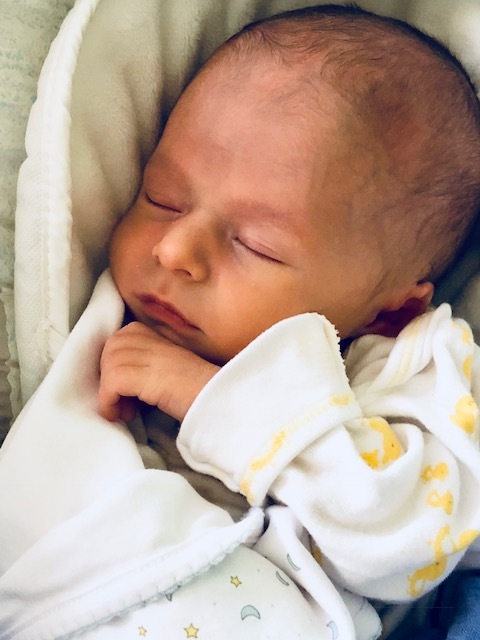 Elliott Christmas McGowan, the infant son of Gibb and Kathryn McGowan, went to be with the Lord on September 8, 2018. Elliott is survived by his brother, Wayne Gibbons "Penn" McGowan, V; grandparents, Buddy and Christine Christmas of Mason and Mac and Mary McGowan of Covington; his great-grandparents, Mr. and Mrs. John Primo of Covington and Mr. and Mrs. Joe Christmas of Shelbyville, TN; his aunts and uncles, Daniel and Annie Cocke of Mason, John Michael and Ali Spoon of Covington, Sean and Mims Pigg of Germantown, and Lt. Col. John and Molly Woods of Nashville; and by his cousins, Cad and Caury Cocke, Ford, Henry, and Charlie Pigg, Jackson and Elizabeth Woods. The services for Elliott Christmas McGowan will be held on Wednesday, September 12, at 3PM at the First Presbyterian Church in Covington. Visitation will be held from 1-3 at the Church prior to the services beginning. There will be a private interment for the family after the services. In lieu of flowers the family has requested that memorials be sent to the First Presbyterian Church at 403 S Main St, Covington, TN 38019.